Ever wonder what the inside of a drone looks like? Southern California-based retailer Dronefly did a virtual drone dissection to show exactly what’s inside (click to expand the image size). 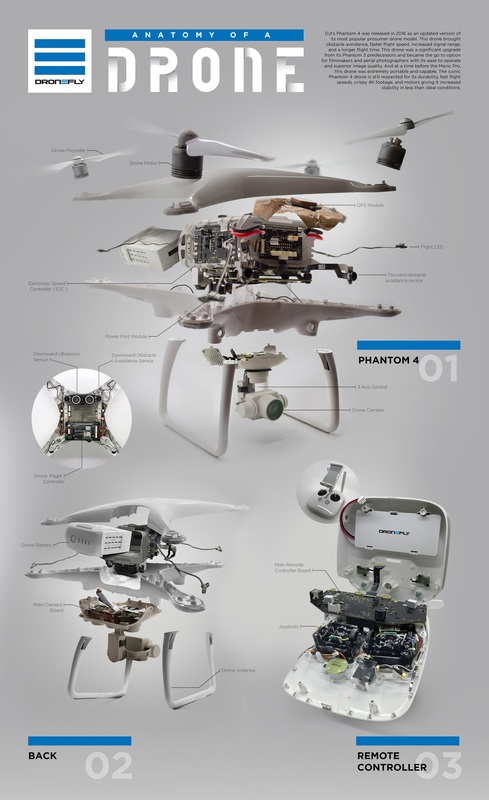 The dissected drone is a DJI Phantom 4, which was released in 2016 and was revolutionary for being the first consumer-grade drone to have a sensor capable of detecting obstacles and making decisions to autonomously fly around them. The DJI Phantom 4 drone only had a forward obstacle avoidance sensor, though most DJI drones today, including the new DJI Mavic Air, have a rear obstacle avoidance sensor as well. Other consumer-grade drones on the market today have evolved to have closer to a dozen obstacle avoidance sensors. The dissection was done by Dronefly’s Alex Netto with the help of the drone repair technicians on site. 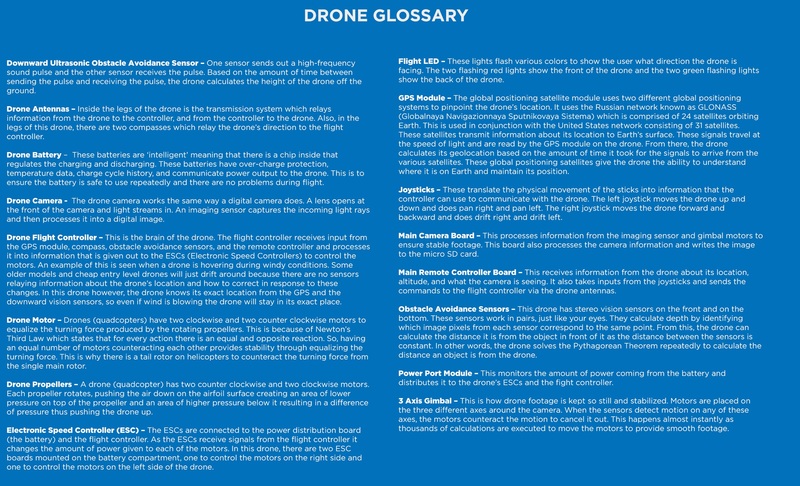 And the dissection is proof of the many recents why DJI seems to reign supreme among other drone manufacturers. Its design and build is top-notch.